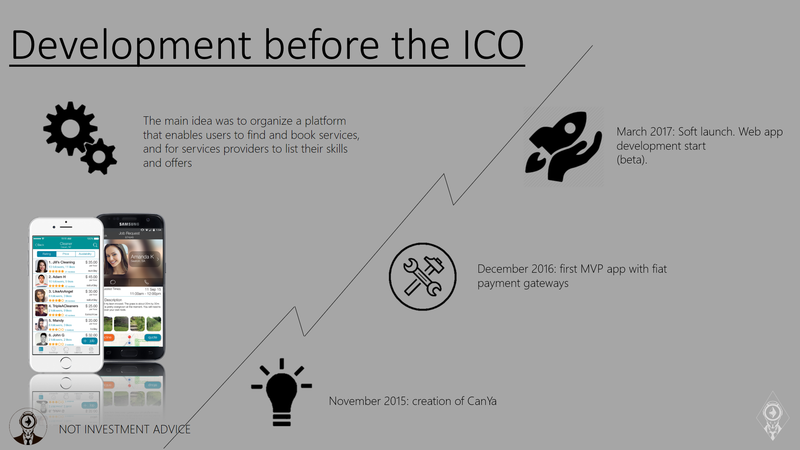 Today’s presentation will be about an interesting coming ICO project called Canya.io which gives us an alternative new way of finding a job in labor market in comparison with one of our previously reviewed ICOs – Indorse.io. What are the main differences between two platforms? The main difference is that CanYa has already operating application on mobile devices, where real people use the services of each other. They launched their platform in a small Australian city in December 2016 and then launched in a major Australian city. It is important to add that their application is listed in app stores on both main mobile operational systems, iOS and Android. 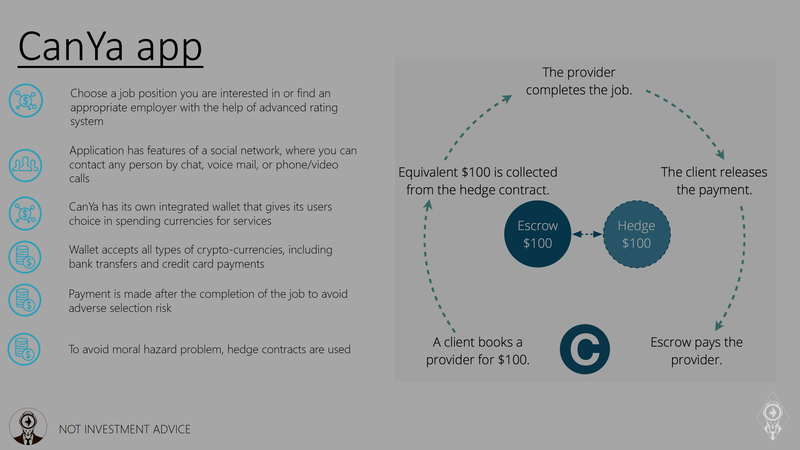 On their site they mention that they have at least 7600 members and 3500 providers (the ones who provide their skills for the users of this application). This is also one of the reasons I like CanYa more than Indorse, CanYa’s product is already in use by average person. I hope that this presentation will be interesting and you will be able to make up your mind about what is better, Indorse or Canya. 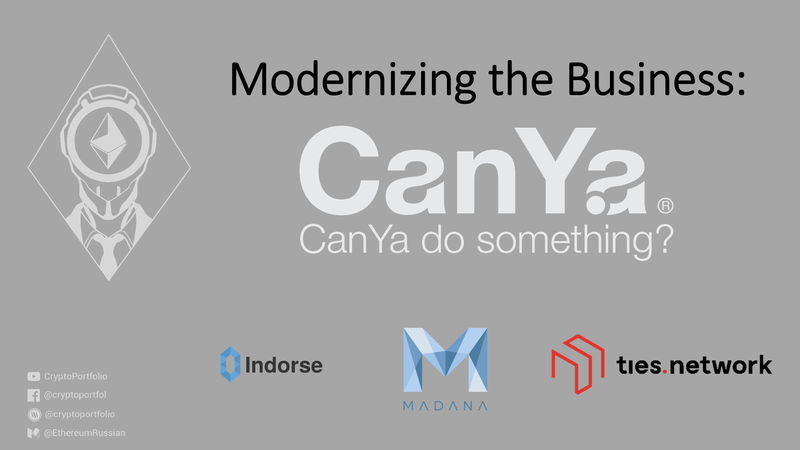 By the way, it is strange but Canya is partnered with Indorse. Two competitors will advise each other, such an interesting situation. Also, they are partnered with MADANA, blockchain market for data analysis, and Ties.DB, decentralized database. 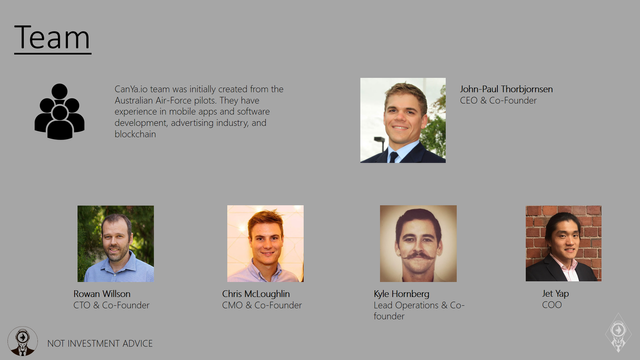 CanYa team was initially created by the Australian Air-Force pilots. They have experience in mobile apps and software development, advertising industry, and blockchain. Now there is a large team which you can get to know better on the CanYa.io. 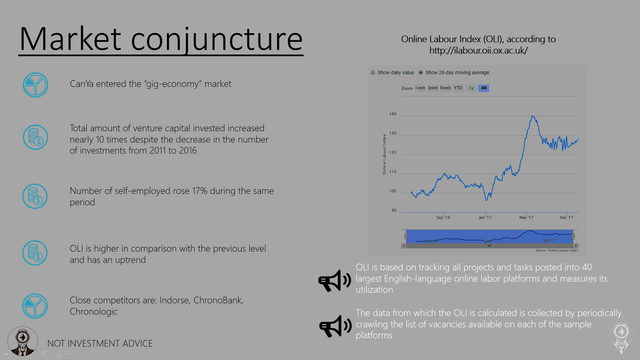 In 2016, new ratio of the gig-economy market, called online labour Index or OLI, was made in the United Kingdom. Also, it should be mentioned here, that the closest competitors are: Indorse, ChronoBank and Chronologic. I expect a fierce competition between Indorse and CanYa, even though, they are partners. 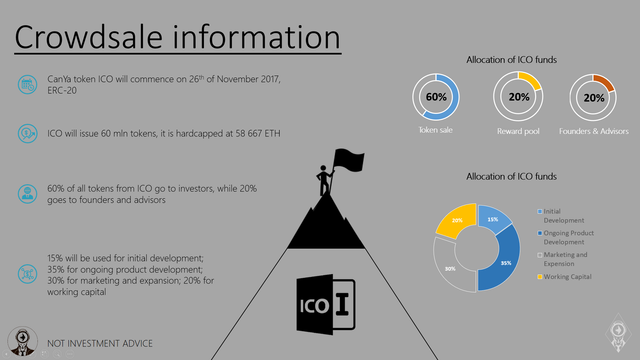 The allocation of the ICO funds will be as following: 15% will be used for initial development; 35% for ongoing product development; 30% for marketing and expansion; 20% for working capital. Experienced team; working mobile application with customer base, and their reward system. 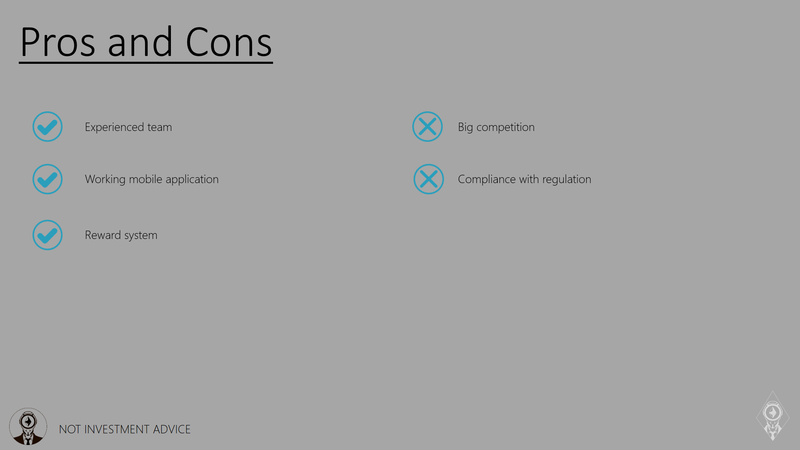 Cons are fierce competition, especially in the blockchain sphere, and compliance with the regulation.